Spend an evening at the luau! 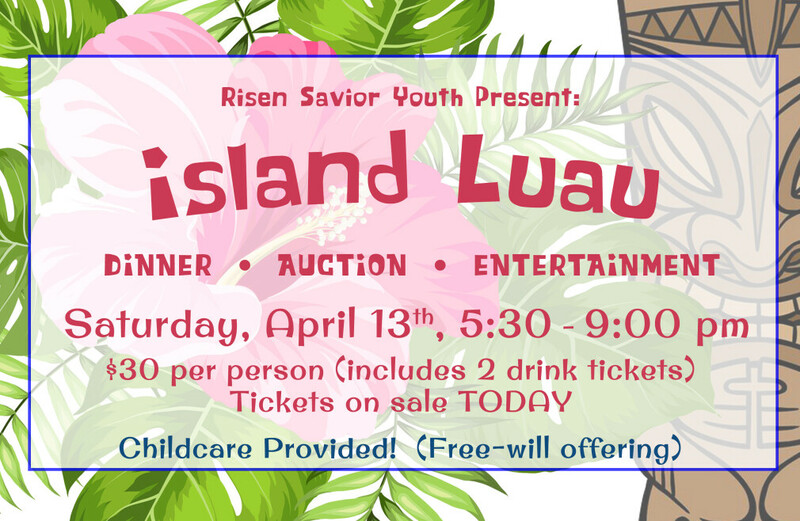 Students going to the LCMS National Youth Gathering this summer are hosting a Luau-themed Gala for everyone to enjoy! Hawaiian style dinner and beverages will be served, entertainment will be provided by the youth and an auction will be held to raise funds for the twelve kids and four adults that will travel to Minneapolis, MN this July. Tickets are $30.00 per person and will be available for purchase on the patio, at the church office or online. Childcare will be available! Please call the church office to reserve a spot for your child (Cost for childcare is a free-will offering).